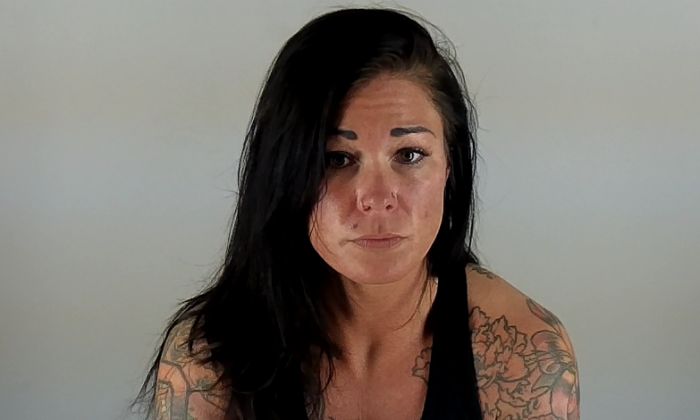 A daycare owner who drugged numerous young children at her illegal daycare in Bend, Oregon, leaving them unattended to hit the gym or go tanning, has been sentenced to 21 years and four months in prison. January Neatherlin, 32, was sentenced on Friday, March 9, after she pleaded guilty in February to 11 counts of first-degree criminal mistreatment and one count of third-degree assault, reported Fox News. Neatherlin was running an unlicensed daycare called Little Giggles for approximately four years. She had lied to parents that she was a registered nurse, despite not having such qualifications, reported Oregon Live. Police started monitoring her after they received tips from a former boyfriend and a former roommate. They arrested Neatherlin last March after seeing her leave the daycare center twice — once to drop off her kids at school and the second time to go to Tan Republic — while she was supposed to care for seven children. The 32-year-old had been telling parents they couldn’t pick up or drop off their children between 11 a.m. or 2 p.m. Upon inspection of the gym and tanning salon’s records, police said she would leave the center during those hours to exercise or go for a tan, reported the news website. Investigators found seven children under 5-years-old drugged with melatonin – a sleeping aid – left unattended at the daycare, reported the news website, citing a sentencing memo. In court on Friday, many parents told the judge reasons why Neatherlin deserved a full sentence of 35 years as requested by the prosecution. One family told the judge that their daughter had suffered a brain injury, consistent with the shaken baby syndrome, after being in Neatherlin’s care. Other parents said their children now have trouble sleeping as a result of Neatherlin feeding them melatonin. “She repeatedly administered a sleeping agent to a room full of infants, toddlers and children and drove off in her car to fulfill her narcissistic needs. There is no room in our society for monsters like this. January has no respect for human life,” one parent said, reported Fox 19. Neatherlin apologized to the families in court and asked them for forgiveness. “Everybody makes mistakes, but not everybody takes responsibility for those mistakes. With that said, I hope the court and the parents accept my apology. I made a very poor call, and it has forever changed my life and even ended it,” she said, reported Fox 19. Judge Wells Ashby said it is good that Neatherlin has taken responsibility for her actions but that she had a “very long way to go,” reported KTVZ. “There is something broke and something missing in you,” he said, reported the news station.